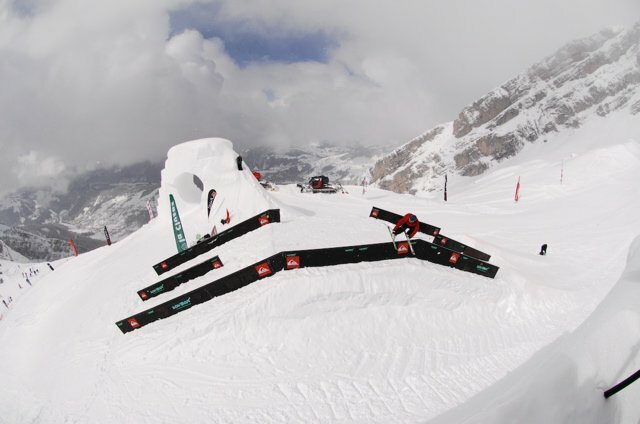 Mother Nature continued to be uncooperative at the fourth and final day of the Candide Invitational in La Clusaz, France. After a long night at a reggae concert at the base of the mountain, the town, athletes and media awoke to more snow and even cloudier skies. As the day wore on the sun tried its hardest to peek out from behind the clouds, and as a result a few moments of good light were awarded to the patient yet frustrated cluster of photographers and filmmakers, but majority of the day was greybird to say the least, making for an unfortunate and undramatic end to the event. The snow and fog forced the closure of the top part of the course again (home of Big Bertha and the quarterpipe) along with the loop, and caused many to pass on hitting the features all together today...but Sammy Carlson and Joe Schuster (who has been killing the course every single day) were undeterred. The two North Americans were lapping the course side-by-side, start to finish and slaying the rail section complete with smiles and many a high-fives, making for a true old fashioned session. The two were repeatedly killing the up-down-flat rail by gapping the flat portion with 360 switch-up&rsquo;s to 270's out. 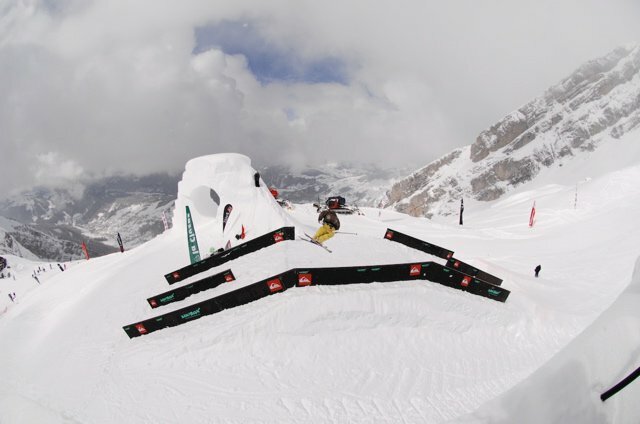 Local favorite Laurent Favre was also doing power laps, and took the opportunity to show his creativity by 360&rsquo;ing up onto the snow tower that held the log jib, stalling on it, and 180&rsquo;ing and 360'ing out. Richard Permin was also front-and-center, and was the only one brave enough to engage the powdery slow in-run to hit the log gap, throwing some nice 180&rsquo;s and 540&rsquo;s into the powder landing. After a few hours of sessioning, and waiting for the fog to clear, and then more sessioning, the day unfortunately ended with another injury. 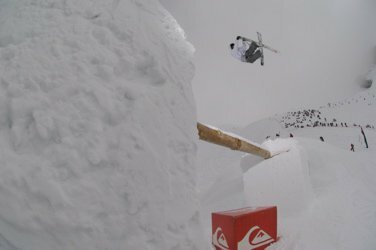 After skiing away from the rail section, hero of the week Joe Schuster caught a patch of ungroomed snow and fell forward, breaking his collarbone. As the patrol bundled him up in the sled, much like yesterday, the fog began to thicken and it was time to call it a day. 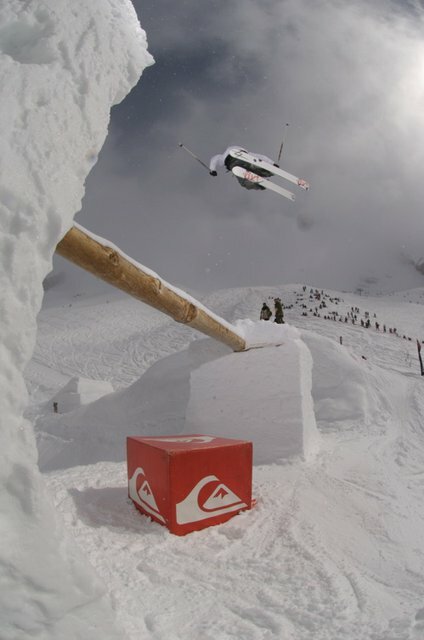 Due to the bad weather that has plagued La Clusaz all week, rumors are about that Candide will extend the event for one more day, giving the riders another opportunity to hit the massive and perfectly sculpted features. At this point in time, it&rsquo;s unconfirmed if it will happen or not as the forecast is calling for more snow through the end of the week, and most are leaving tonight or tomorrow for Sweden for the Jon Olsson Super Sessions. So if the weather does continue to deteriorate, the sixth annual Candide Invitational may be one for the books. With the gorgeous features and amazing hospitality courtesy of Candide, it&rsquo;s a damn shame the weather wasn&rsquo;t better, but most will still be walking away from the event with a smile.